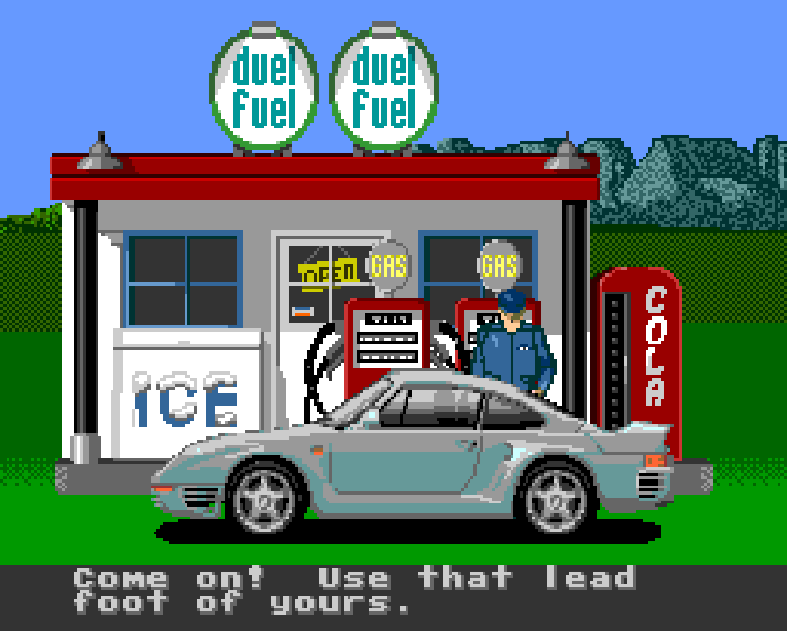 Sure, there’s a cola machine at Crazy Al’s in the Macintosh version of Test Drive II, but I’m more curious about the idea of a gas station that sells car insurance. 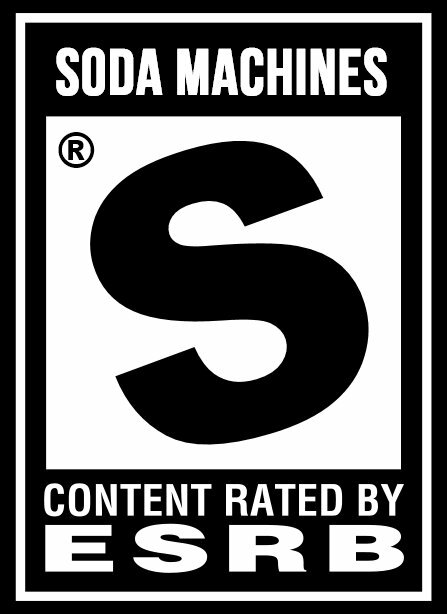 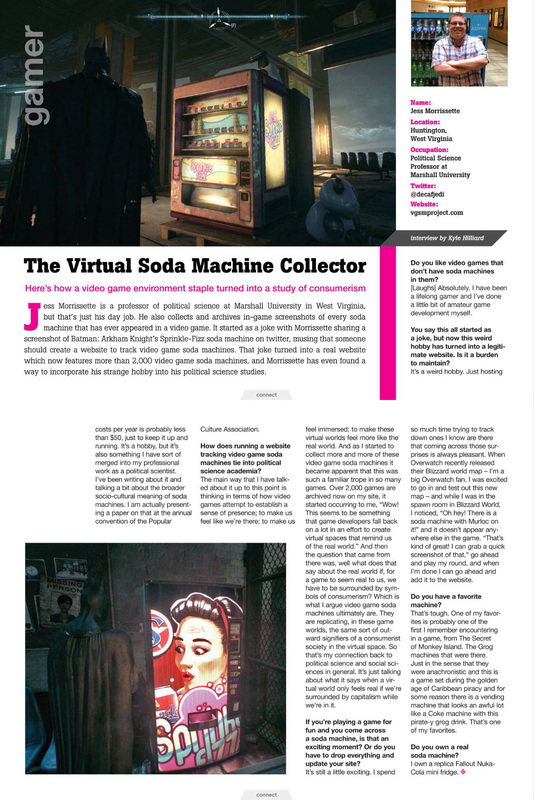 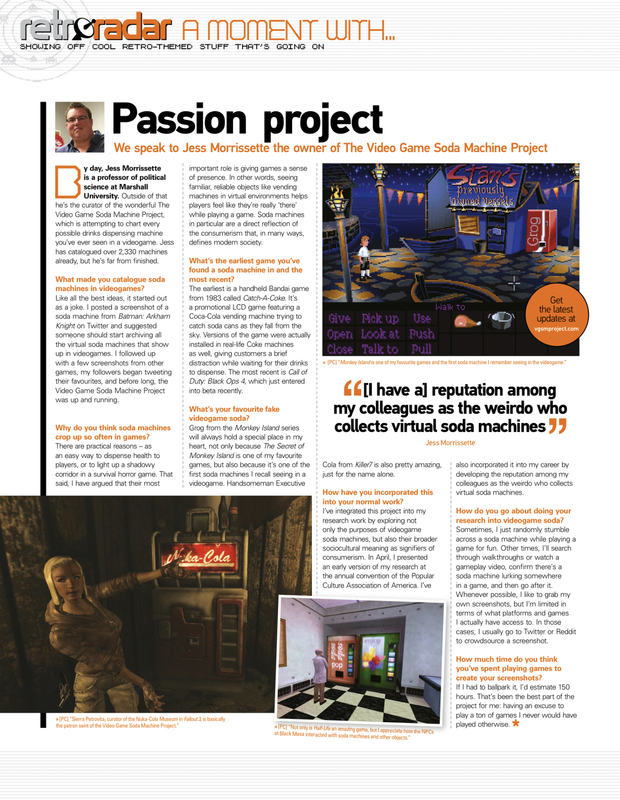 The cola machine also appears in the SNES port. 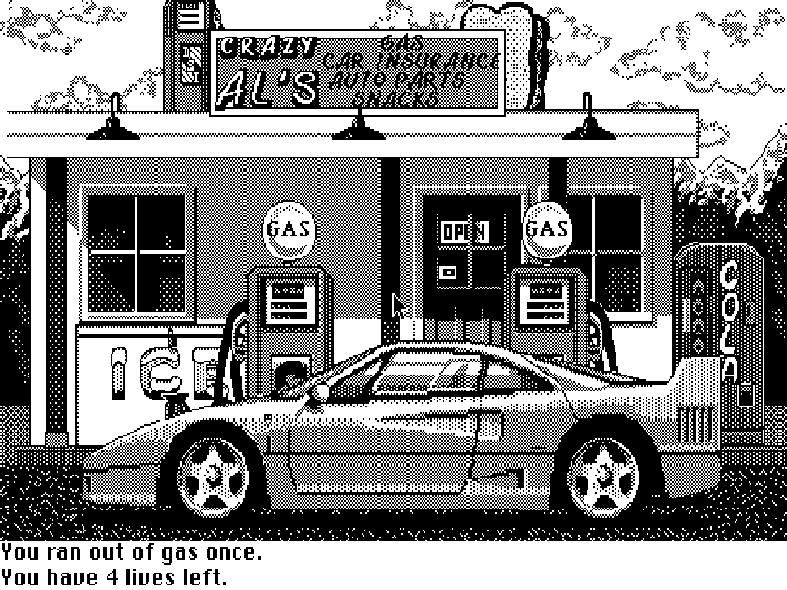 Check out the DOS, Amiga, Atari ST, and Sega Genesis versions of Test Drive II in the archive!